Hiring a car is the best way to explore the island. Roads are generally well surfaced though they can be narrow and steep in places. There are over 25 car-hire companies on Corfu. Most will deliver and collect to your hotel or apartment anywhere on the island at no extra charge, or you can collect at the airport. Local buses connect Corfu Town with most parts of the island. Frequencies vary between once daily to four or five times daily. The buses are a great way of seeing the island and meeting the people and somebody else does the driving. Towns served by the buses include Glyfada, Sidari, Paleokastritsa, Roda Lefkimmi and Piri. Timetable information can be obtained from Ktel at the central bus station in Corfu town Tel (26610) 39985. Their website is in Greek only and you now have to pay for timetable information. There are no public buses to or from the airport. Hire a small motor boat to explore the Corfu coastline. These are widely available and many drivers, especially those serving the airport speak some English. It is always advisable to confirm the fare before starting your journey. Many drivers will give you their card in the hope that you will favour them with your patronage for the duration of your stay. 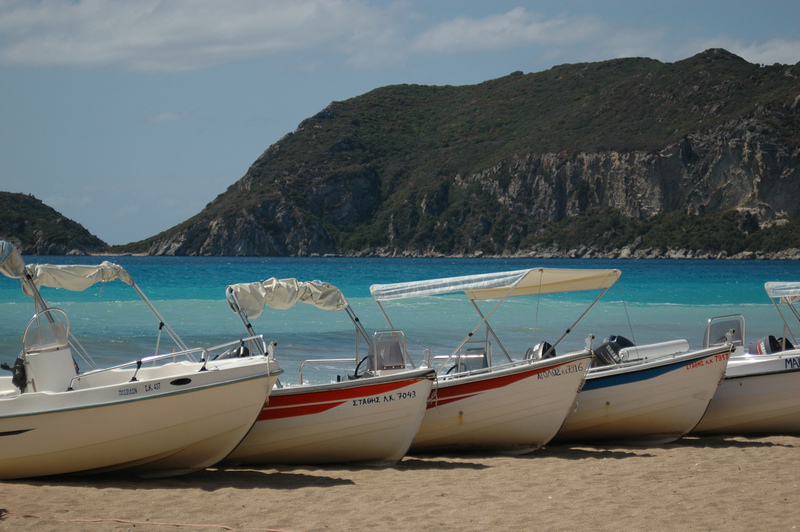 Motor Boats can be hired and are a great way of exploring the coastline and finding quiet secluded beaches. No license is needed and the boat owners give proper instruction before letting you loose on the sea.